This tutorial covers the overview of database management system. 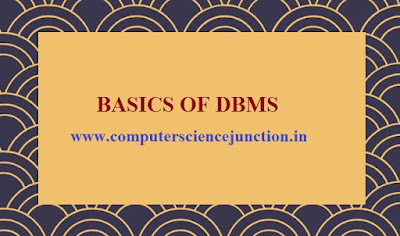 In this tutorial author covered introduction of data and database , introduction to database management system, dbms examples, characteristics of dbms, advantages of dbms. 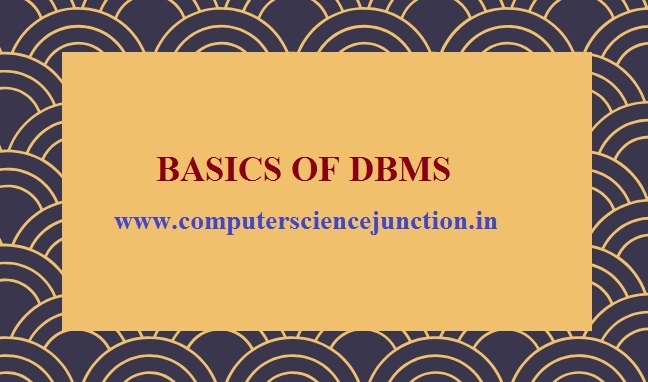 Before introducing the introduction to database management system , advantages of dbms, characteristics of dbms let us know something about data what is data ? The term data may be defined as a collection of facts which provide information about something. Data may be in the form of text, table figure graph audio and video. In context of computer world data is processed by computer and it is recorded or store in some suitable form which can be understand by the user. Data can be stored on secondary device like had disk or in primary memory. Data can be collected stored, processed and it can be manipulated it means we can perform some operation on the data. When data is processed then it becomes information. Information is nothing but meaningful data. Database can be simply defined as a collection of data but here we should keep in mind that this data may be related. So in more accurate way we can say that database is collection of related data. Database should be organized in a way such that it It should be easy to update , access and manage the database for the user. User interact with dbms by an interface generally this interface is a command user interface. You may also say it as a tool which is used by the user to perform the several operation like creating a database, storing data in the database, updating data, creating tables in the, security. User give the commands on this interface in order to perform these operations. Normally SQL Structured Query Language commands are used on most of the database . DBMS gives the facility to the user to protect the databases used in database management system. It also provide a way so that multiple user can use the same database. Some widely used dbms in industry are MySql,Oracle,SQL Server ,IBM DB2. 1. Way of Storing the data: In database management system data is stored into tables, structure for the table is created initially . This table structure is also known as schema in dbms. Schema in dbms provides the information about various attributes of name the table , data type of the attribute. DBMS a provide a facility to represent a relationship among the related table. 2. Reduced Redundancy: This is one of the important feature of the dbms that it reduces the redundancy. Here the term redundancy can be seen as unnecessary repetition or duplicacy of data in database . To reduce the redundancy DBMS use Normalization concept which decompose the given table into smaller tables in order to minimize the redundancy. Note that DBMS does not guarantee the 100% removal of the redundancy it can only minimize the redundancy. 3. DBMS support the concurrent access of the database to the multiple users. Multiple users can work on the database at the same time and still maintained the consistency. 4. Data Consistency: The term data consistency means state of data should be consistent. Result of any manipulation or updation should be reflected. 5.Support to Structure Query Language: DBMS support to SQL . the query of SQL provide a easy way to the user to create, insert, update, delete the data in database. 6. Security: DBMS give s the facility to protect the database from unautorised users. Different user accounts may have different access permissions, using which user can easily secure their data by unauthorized users..
7. Transaction Support: DBMS supports transactions which helps the user to maintain the integrity of the database.. These feature of DBMS can also be views as advantages of using DBMS. When we talk about disadvantages of DBMS then there are no such disadvantages of using dbms we can see It's Complexity and cost as a disadvantages. And user should have good knowledge of database management system and sql.